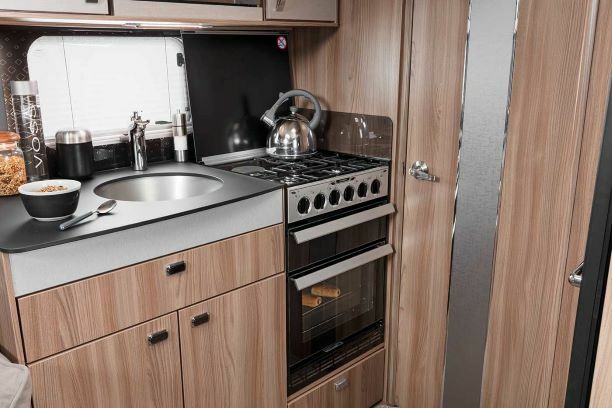 Probably the best priced new Swift Elegance Grande caravans for sale. 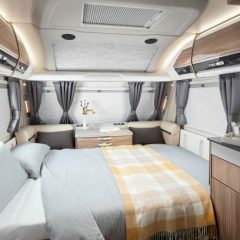 The Elegance Grande is a luxury 8ft wide caravan new to the touring caravan market for 2019. Call our sales teams now in Swindon (01793772096), Oxford (01844339566) or Reading (01189888111) for more information now. 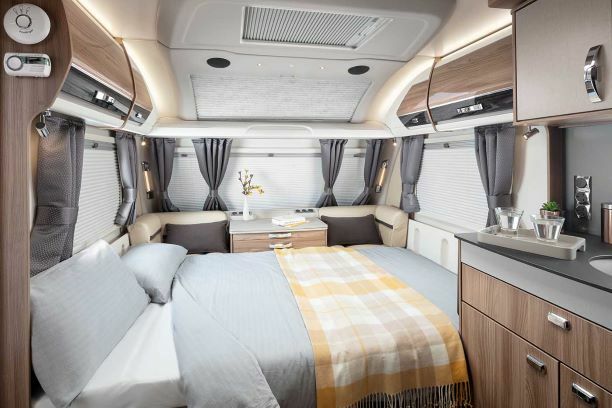 There are 3 twin axle models in the range currently with savings of £3,475. 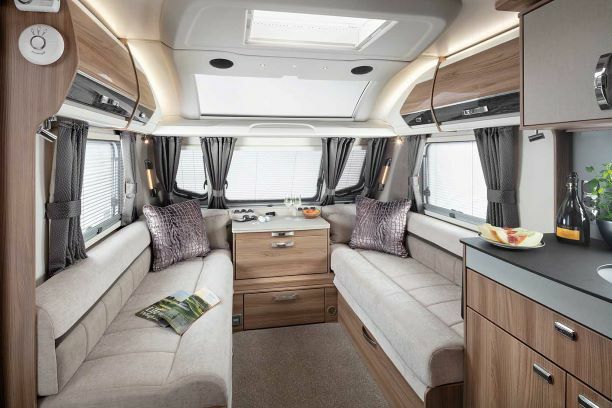 At 8ft wide, the Swift Elegance Grande offers a luxurious living space that the whole family can enjoy. 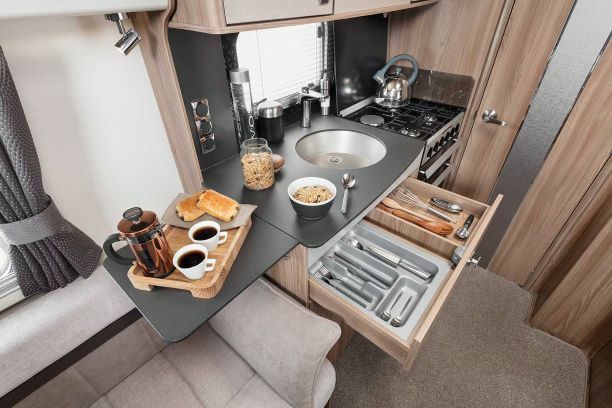 Built using Smart 3, the third generation of timberless construction from Swift, the Elegance Grande features the all new 655 which is a 6 berth caravan offering an L-shaped lounge, mid dining area with a pull down bed, fixed bunks and L-shape kitchen. 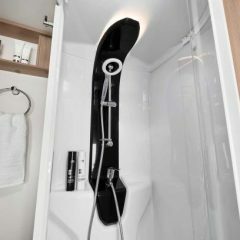 Internally the Elegance Grande has features and equipment to help you relax. 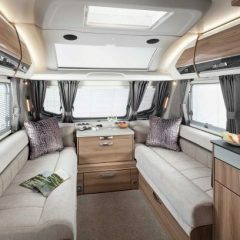 The front panoramic sunroof incorporates LED recessed lighting and speakers and the new Darwin soft furnishing scheme along with high gloss upper locker doors all combine for a striking interior look. 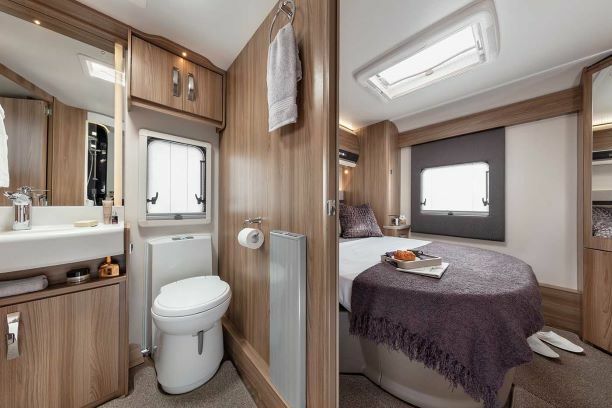 Everything on board can be controlled using the new Swift Command control system featuring a new 7″LCD colour touch screen, from the lighting and battery selection to the Alde heating and water systems. 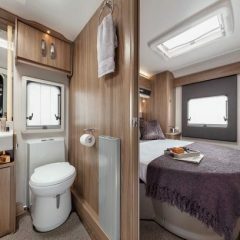 The Swift Elegance Grande is a great addition to the flagship range and can be purchased using finance through Black Horse. 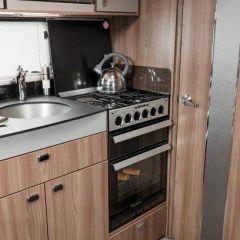 We are a premier Swift dealer and have the Elegance Grande range available to view at our Swindon branch. 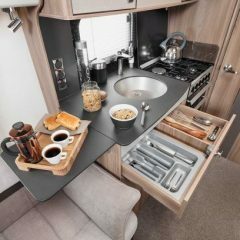 You are able to order from any one of our 3 branches in Swindon (01793772096), Oxford (01844339566) or Reading (01189888111) so please call them today for more information and a price.